If mirtaz﻿apine helps you sleep, why do you want to taper it now? Do you have side effects? I feel more comfortable leaving most of that type of drug guidance up to mods but it appears to me that on the 6th of February Altostrata addressed that with you. See above. Ultimately the choice is up to you but she did offer up her thoughts. I wish you the best of luck in making your decision, but whatever you decide I do think you should stick with that choice rather than making all these little changes to an already destabilized CNS. 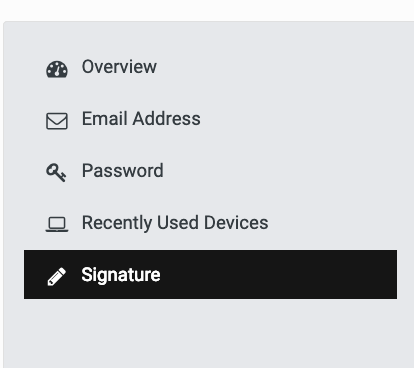 You might also want to consider updating your signature with the changes so the moderators can see with a glance what have been taking and when. This will help them to better advise you without having to read through your thread every time. I know it's hard to do when you aren't feeling well and can't find your password, but if you can find a way it really will help them to help you. I am thinking warm thoughts and good wishes for your recovery. Your choice sounds very sensible. You will eventually have to taper the Mirt but the key here is to stabilize and feel better now. If you stick with the Mirt you should start to feel a little better. Give yourself a week or two and I bet things will start too look up for you. Like I said previously, don't beat yourself up over this, just feel better. I know it is very difficult now but it will get better. It's hard to believe, but it will. Take good care of yourself my friend. I don't know if this will work for you but you can try the following. It all depends on if you are already signed in with your signature though. That would be the first step, to get signed in. If the below doesn't work then ask a mod if they can help you. Again, take care of yourself and don't be too hard on yourself. Be very kind to yourself. I can't tell you the amount of things I couldn't do while in withdrawal and I always said to myself, "you tried but you are in WD, just try again later when you are feeling a bit better." 1. Click on your name which is on the upper right hand corner of your screen. You should get a new drop down menu. Of the items listed select ACCOUNT SETTINGS. 2. A new page will come up. Look at the far left and select SIGNATURE. See picture below. That should do it. Sorry, Just posted the above before I saw your reply. Do your symptoms follow any daily pattern? Please keep daily notes on paper with times of day for when you take your drugs, their dosages, and your symptoms. You can post them in this topic with a simple list format with time of day on the left and notation (symptom, drug and dosage) on the right. Post your notes here in your Intro topic. Not sure why you're insisting on going off mirtazapine. I wouldn't, if I were you. Think carefully, are you trying to make yourself more miserable? Because if you are, we're not going to be able to help you, your ability to make yourself miserable exceeds anything anyone can do. If I were you, I'd go back on 15mg mirtazapine and stop worrying about it. It is not a high dose. You can taper it later. Because you've dosed it irregularly, it may take some time for your nervous system to settle down. Why are you taking 2.5mg felopidin﻿e? Please keep daily notes on paper with times of day for when you take your drugs, their dosages, and your symptoms. You can post them in this topic with a simple list format with time of day on the left and notation (symptom, drug and dosage) on the right. Post your notes here in your Intro topic. One day at a time. Your body has gone through a lot. Give it a little time. I know it is horrible. quickly are still suffering from withdrawals many years later. Slow and steady is the only way to go, lots of long holds too. What effect does 15mg mirtazapine have on you? How often are you taking propanolol, and when? Anyone know if propranalol can be upped and reduced without any harm im assuming it doesn't have to be tapered?? Yes, you can get withdrawals from propranalol. If you come off it too fast it can actually affect your heart.